The Czech Ground Forces Day, Bahna 2018, held on 23rd June in Zadní Bahna near Rokycany, western Bohemia, was the 29th edition of one of the largest European presentations of military vehicles, weapons and equipment, with about 500 modern and historical military vehicles displayed in both static and dynamic demonstrations. Including seven interesting pieces which are being considered for future modernizations of the Czech Army: two variants of the CV90 and two variants of the ASCOD 2 Infantry Fighting Vehicles (IFVs), the brand new PATRIOT 4x4 Tactical Armoured Personal Carrier (APC), the Long Range Patrol Vehicle (LRPV) CHEETAH, or the modernized DANA M2 Self-Propelled Gun Howitzer (SPGH). BAE Systems presented two CV90 IFVs: one operated by the Royal Netherlands Army which is the MkIII variant referred to as CV9035NL. Netherland ordered 184 of these vehicles in 2004; the deliveries were completed in 2011 (150 in IFV configuation and 34 command and control), and in 2014 44 vehicles were sold to Estonia. The variant is mounted with the interesting and powerful ATK Gun Systems Company 35/50 mm Bushmaster III cannon, unlike most of the other IFVs mounted with a 30 mm cannon. The other CV90 came to Bahna 2018 from Norway. 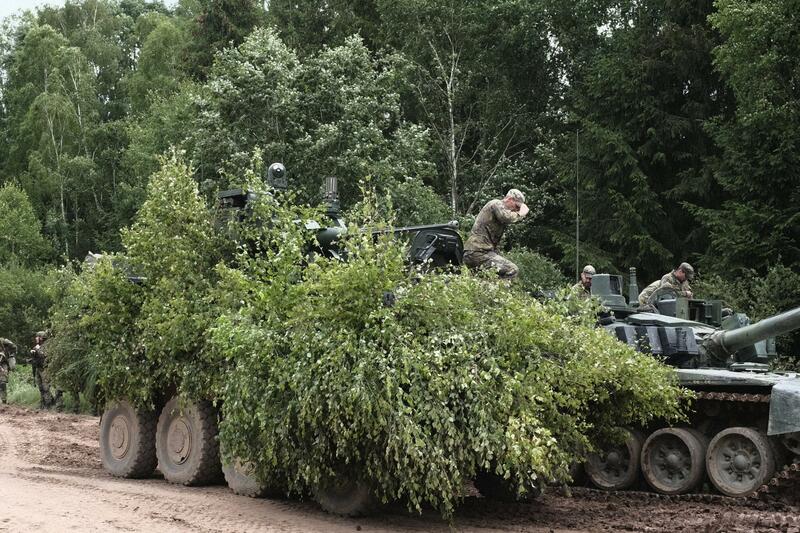 The Royal Norwegian Army operates the MkI or the CV9030N variant. The turret is mounted with the ATK Gun Systems Company 30/40 mm Bushmaster II cannon. The first four vehicles were delivered already back in 1996 for trials. In total the Norwegians operate or ordered 144 CV90s in infantry fighting, reconnaissance, command, engineering, multi-role and driver training configurations. General Dynamics European Land Systems (GDELS) presented two variants of it’s ASCOD 2 (Austrian Spanish Cooperation Development) vehicles: ASCOD 35 (for 35 tons) Infantry Fighting Vehicle with the Elbit UT30 Remote Controlled Weapon Station mounted with a 30 mm cannon, and Anti-Tank Guided Missiles, unveiled during Eurosatory 2018, with the transport capacity reduced to 6 fully equipped soldiers (yet the ASCOD 2 platform offers solutions for transport of a squad of 8 soldiers or two complete teams, like the CV90s). The other ASCOD was the ASCOD 42 (for 42 tons) variant with the Leonardo Hitfact turret mounted with a 120 mm smoothbore gun as Direct Fire Light Tank with a crew of five. GDELS is the producer of the Pandur II wheeled IFVs which already is operated by the Czech Army. The Czechoslovak Group (CSG) presented, among others, three attractive vehicles. The company Excalibur Army displayed it’s PATRIOT 4x4 Tactical APC which is a Medium Armoured Tactical Multi-Mission Vehicle (MATMMV) built on an advanced chassis by Tatra Trucks. The Self-Propelled Gun Howitzer DANA M2 is built on a Tatra Trucks chassis too. The M2 modernized variant will extend the life cycle and increase the combat capabilities of the DANA vehicles operated by the Czech Army artillery. It offers a higher accuracy shooting, better controllability of the vehicle and reliability of operation; 33 of the DANAs should be upgraded to the M2 variant between 2018 and 2020. Within the CSG’s presentation the Toyota Dajbych displayed the Long Range Patrol Vehicle (LRPV) CHEETAH based on the proven Toyota Land Cruiser 70. 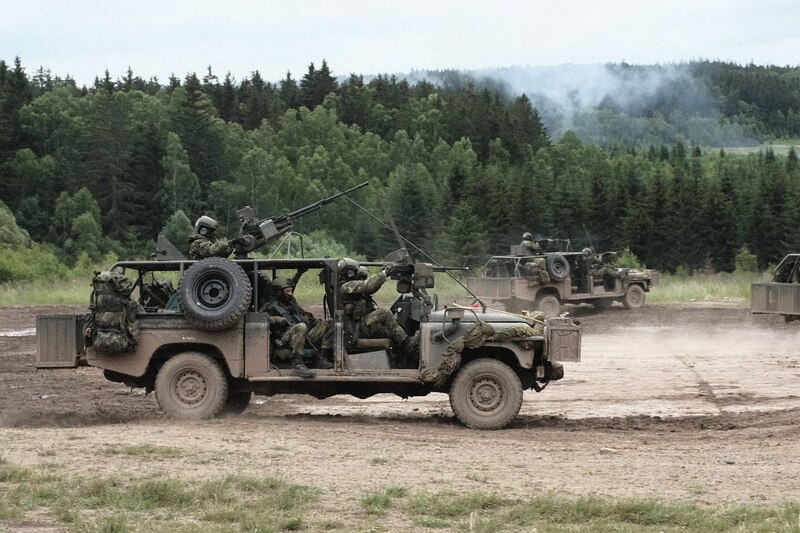 The CHEETAH is developed as a potential replacement for the current Land Rover Defender 130 Kajman (operated by the 43rd Airborne Battalion). The inovative chassis of the CHEETAH vehicle allows for a total weight of 5.5 tons and two tanks have capacity of 180 l providing the maximum range of more than 1,000 km. Besides the above 7 mentioned vehicles, there were many other interesting things to see. The Slovak Army displayed the modernized variant of the BVP-1 (BMP-1) Infantry Fighting Vehicles with the TURRA 3 turret mounted with an automatic 30 mm cannon. The TURRA turrets are also products by the CSG holding. 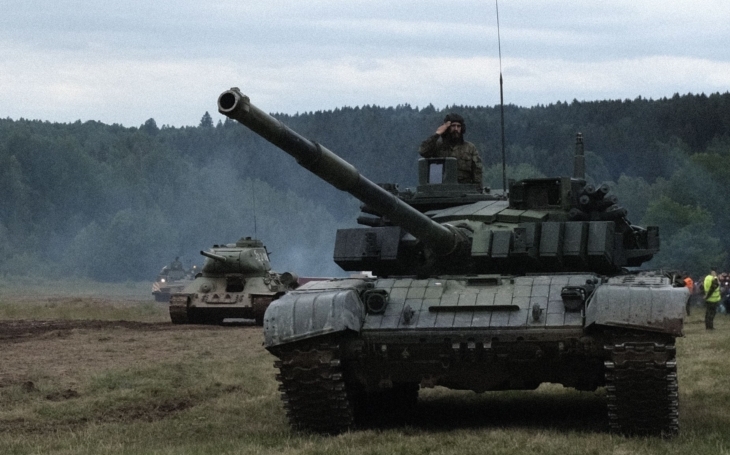 The Czech Army presented a variety of it’s currently operated vehicles including the T-72M4CZ Main Battle Tanks (MBT), the Pandur II wheeled Infantry Fighting Vehicles, Iveco Light Multirole Vehicles, etc. The military history program was dedicated to the „8“ anniversaries of the Czech history: 1938, the mobilization to face Hitler’s agression, Munich treaty, and 1968, the invasion of the Warsaw Pact forces to end the Prague Spring and democratization process in Czechoslovakia. 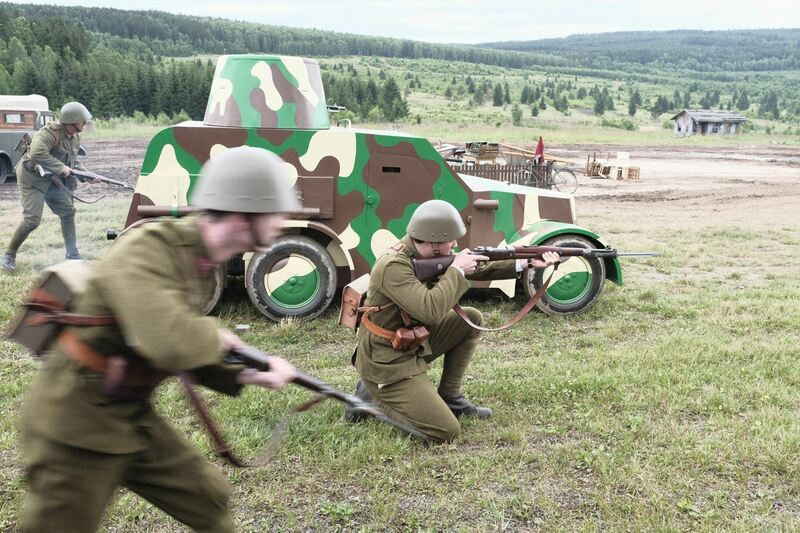 Together with the presentations of the Czech Police, the Military Police or the Fire and Rescue Corps the Ground Forces Day Bahna 2018 organised by the Ground Forces Command, with the cooperation of Czech Army Ground Forces Foundation, The Museum on the Demarkation Line in Rokycany, the Czechoslovak Legion Community, and military re-enactment clubs, attracted about 50 thousand visitors.